Well, I'm back from CHA, finally adjusted back to TEXAS time! It was a whirlwind of an adventure, and I'm pretty darn sure I want to go back next year. I'll have a separate post about my trip some other time, k? 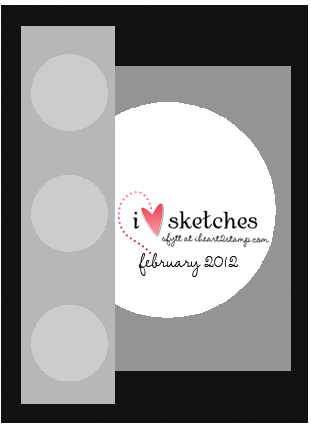 For now, it's the first Saturday of February and that means another Sketch For You To Try from Jen. YOUR NEXT STAMP is our sponsor this month. I'm telling ya'll--there is some CA-UTE stuff in that store! There's a new release coming your way next week from them, so be sure and check out the YNS blog all week for some great eye candy! If you've never checked it out, DO IT! 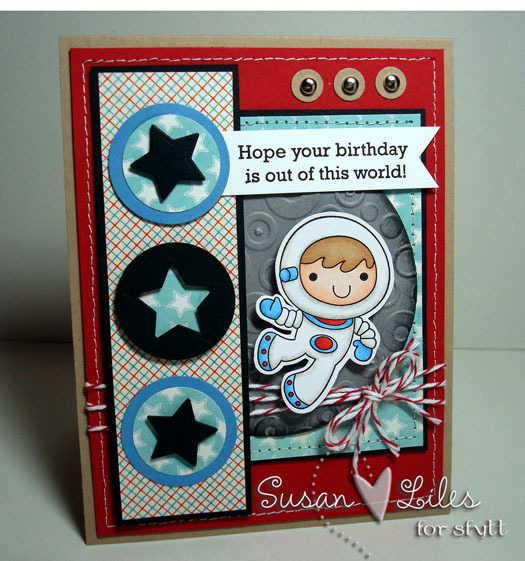 When I was studying the sketch and figuring out what stamps I wanted to use for it, I immediately "gravitated" to this little Space Boy set, knowing that the circle had to be a moon with craters made with one of my Cuttlebug embossing folders. 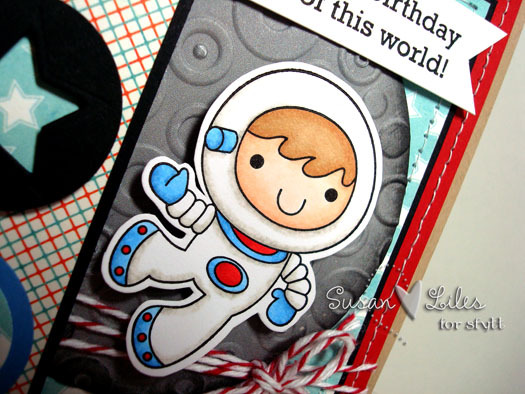 So fun and a great little boy birthday card! 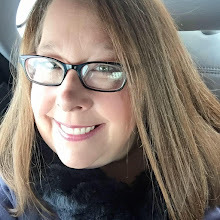 We have a new Guest Designer for this month, Angela Thomas who is more talented that she realizes and we are looking forward to seeing all her creations this month! Cheers to Angela! 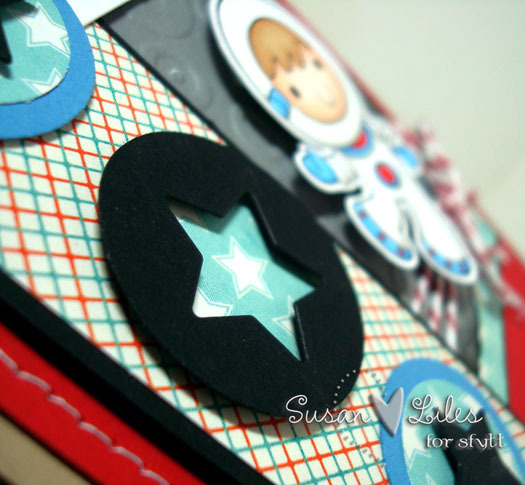 You can see her amazing card on Jen's blog HERE, along with all the details on how YOU could be the next Guest Designer for SFYTT and possibly win the GRAND PRIZE at the end of the year. 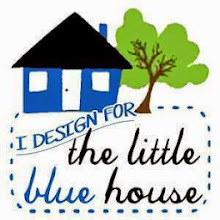 SUSIE Q-TIP: Create and use the negative portion of a punched or die-cut shape. I saw a lot of this technique being used on samples at CHA. Trendy. Love this Sus! Great take on the sketch! 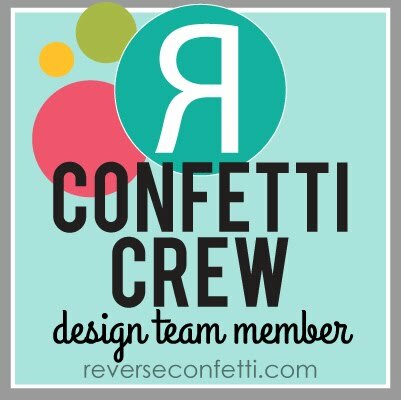 Fabulous little space scene you created with Space Boy!!! CUTE! 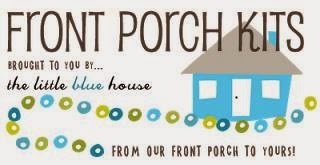 Fun tip too! I love the look of negative punch shape! COOL! So cute Susan! Space Boy is still my favorite YNS set! I got him last year and have used him multiple times since then, but I don't think I've ever colored him quite as well as you have here! So adorable! This OUT of this world ADORABLE! Absolute perfection! !